Star Trac treadmills are the creation of the inventors of the Lifecycle stationary bike brand. Since their first introduction of a commercial treadmill back in 1987, Star Trac has built a solid reputation as a supplier of fitness equipment. You can find Star Tracs as a value alternative in fitness clubs and they are becoming popular in home gyms as well. One of the main ideas behind Star Trac treadmills is that electronics are the way of the fitness future. Star Trac wants users to focus on their progress when on the treadmill, rather than the actual treadmill itself. This company philosophy translates into a treadmill with not only top-of-the-line parts but an outstanding electronics package. However, you can’t deny the fact that the health clubs are choosing Star Trac equipment time and time again because they are a cheaper alternative than other commercial treadmill brands. With this in mind, maybe the treadmill parts are able to stand up to long hours of running and walking, even if Star Trac’s focus is on building treadmills with a superior electronics package. The electronics of Star Trac equipment is tremendous, offering everything from a digital scale that can monitor your progress and calorie burn accurately. The horsepower offered on their most expensive of these treadmills is awesome (5.0 HP! ), but when you’re just working out at home, this seems a bit superfluous and like a waste of a motor. The current lineup consists of the E Series: E-TRxi, E-TRxe, E-TRx, E-TRi and E-TR, as well as the S Series: S-TRc, S-TRx, S-TRc and S-TRx. The Star Trac E Series is designed to entertain you while you work out with 15 inch touch screens and Star Trac Coach tool, iPod integration, and Netpulse On Demand. The S stands for Simple in the S Series, but these treadmills are anything but. They are built solid with loads of comfort features and adjustability. 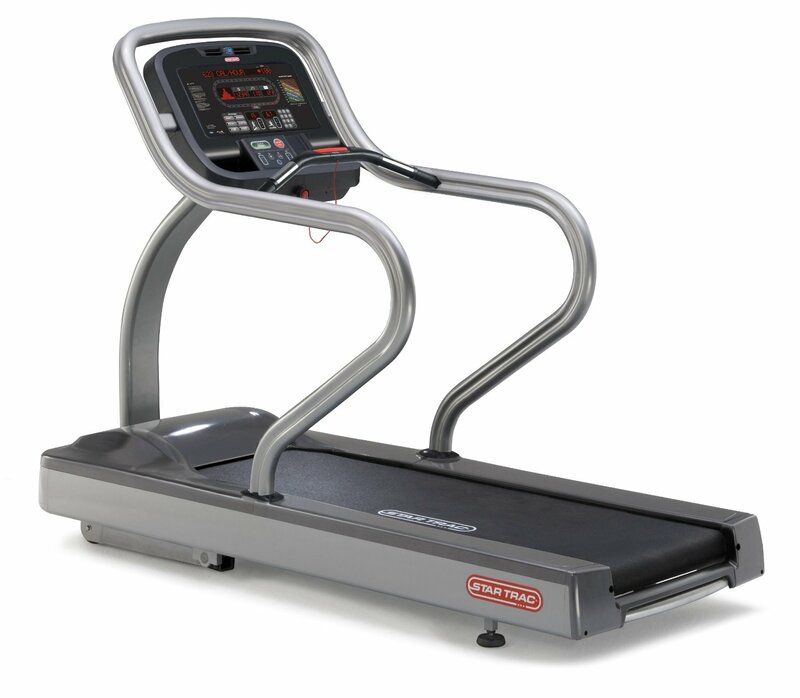 Since we’re a little concerned about the parts quality of these treadmills, there’s no denying that Star Trac’s popularity with clubs is going to guarantee that you’ll be able to get parts and labor for years to come – and that’s reassuring considering the so-so parts used in many Star Trac models. In our opinion, Star Trac treadmills are a bit too pricey for the average home fitness enthusiast. Sure, the electronics are fancy and the parts are covered by a decent warranty, but if vital components are lacking quality, why pay a premium price for a Star Trac? For your money, you can find many other treadmill brands that will cost you less, but give you the peace of mind of knowing you have bought a machine that will last past the warranty expiration date. Star Trac Pro 7600 - A commercial club model designed for heavy duty use, up to 16 hours a day, seven days a week. Buy it reconditioned at 50% to 70% off the retail price! Star Trac S-TRx - A club quality commercial model that retails new for $6,595. Star Trac E-TR - The E-TR is the entry level model of Star Trac’s E-Series line which focuses on entertainment features. Star Trac S-TRc - An upgrade of the S-TRx and S-TR. Star Trac 3900 - Reviews on this commercial unit are universally favorable since Star Trac makes some of the best and most popular commercial machines in the world. Star Trac 4000HR - Buy remanufactured and save! Star Trac 4500HR - Reconditioned model a great investment for home user. Star Trac Pro 4500 - A quiet, smooth treadmill with “club feel” from the world’s best-selling commercial treadmill maker. Star Trac Pro S - A popular machine at the health club. Star Trac TR901 - Rated "Best Buy"